I had a lovely Facebook Messenger conversation with Lars Kristensen of Denmark's Raidho Acoustics about how much I was loving my X-1 Loudspeakers -- more like adoration, if truth be told. He mentioned the X-1 now had an upgrade to XT-1 and that he could organize that for me if I wished. Giddyup! True to his word, my speakers were picked up, shipped to Denmark, and were upgraded and back on their stands in less than three weeks! The cost of the upgrade is USD $1,500 /pair plus shipping. A new pair of XT-1s will run you USD$7,700/pair plus the proprietary (and necessary) stands. Readers may find my original review of the X-1 helpful. The X-1 is the baby of the Raidho family, diminutive dynamos that offer exceptional performance in all areas of the audiophile canon. I've reviewed many fine speakers this past year that come close but never surpass the objects of my sincere affection. For me, what sets the X-1 above most in the size and price brackets, is its uncanny ability to convey musical emotion through a splendidly coherent soundscape. Tessituras remain in balance (often a difficult assignment for small monitors) and timbral accuracy is incredibly good. Of course, imaging is superb -- among the best you'll hear from a monitor (up there with the more expensive Alta Audio FRM-2s and far more expensive Magico Q1s). And build quality is on par with Focal and Wilson. Stunning boxes, my pair in an exceptional piano black finish. The design topology marries a house made ribbon tweeter with Raidho's dynamic ceramic driver, and to glorious effect. In recent years, Alta Audio's line of speakers has managed this design feat. Others have not been so lucky. It's a twitchy thing and must be accomplished with great care, time and great ears. Raidho's driver integration is non pareil. Just ask any owner or check the classifieds for second hand Raidhos. See? Not many around. I've been fortunate to review most of the Raidho Acoustics range, at least the D models (top of the range). I've heard the C models casually. They're terrific, too, and maintain the family sound. My X-1s were over CAD$8,000/pair and play on proprietary Raidho stands that add another grand to the total. Expensive little buggers. The price, along with a typically attenuated monitor bass response (physics is physics my friends) stopped me from awarding the speaker an Audiophilia Star Component Award. Trust me, I've felt churlish many times. But never felt the ultimate urge to change its standing in the Audiophilia pantheon. 'So, why did you buy them, Anthony?' A question I've heard many times when other speakers have received Star awards. Well, I think you have the gist. For my small music room, and my musical tastes, and for what I can afford (even at trade 'accommodation' pricing), I've not heard better. I love the look, the design philosophy and the sound. The main driving force on the development of the Raidho Titanium membranes was the extreme improvements in clarity we over the years have seen with the Raidho Diamond membranes, The Raidho Titanium membranes is the result of the effort to get closer without the extreme financial impact of the Diamond CVD process. The Raidho Titanium membrane layer is constituted by a multiple of titanium and titanium nitride elements created as a dense top layer the Raidho Ceramic membranes in a Vacuum sputtering process. By adding layers of Titanium Nitride and pure Titanium we greatly densen [sic] the surface layers of the membrane and add a double sided constrained titanium based layer to the 5-layer membrane sandwich, thus both increasing stiffness and lowering the Q of the membrane mechanical resonances. The Titanium membrane greatly increases clarity and impact in the music performance. The Raidho X and X-T series of loudspeakers are all built around the same Raidho X-driver that has a very compact and magnetically rigid neodymium magnet motor system. The X and X-T drivers both share an extremely rigid ceramic cone manufactured in a Pio plasma process over 80 hours where a ceramic composition layer is formed in liquid thru a high current/voltage process. A vacuum aided process adds layers of titanium nitride and pure titianium on top of the ceramic X driver membrane. This transforms the X ceramic sandwich cone into an even stiffer and better damped 7 layer sandwiched cone. The devil really is in the details. The research and ultimate care Raidho takes with its drivers is nothing short of astonishing. Rarely in high end audio does a company get its ID, focus and manufacturing prowess together so quickly. In a relatively short time, Raidho Acoustics has become a premier loudspeaker company spoken of in the same company as the best in refined speaker design and manufacture such as Wilson, Focal, B&W, Vienna Acoustic, among others. So, what does your USD$1,500 upgrade get you in purely musical terms. The XT-1 has now become a stepping stone between the very expensive and superlative D-1.1 (over three times the price of an XT-1) and the standard X-1. The sound world between the XT and the D-1.1 aren't colliding, but it's going to be a much closer call. The Titanium upgraded driver adds even more refinement in timbral accuracy than the standard ceramic driver, which in itself is no slouch in delivering instrumental and vocal purity. Musical information is even more readily available -- the most subtle nuances cannot escape the XT-1s' musical clutches. The slightest dynamic changes and musical emphases come out of nowhere - try the fabulously famous Witches' Brew as a test example (Classic Records LP reissue). My goodness, this is as loud as an LP can get, but it's the quiet that is so impressive on the new Raidhos. The quietest shimmer of tremolando violins at the end of Danse Macabre disappeared into the ether. As good an audio replication of 'niente' as I've heard. Of course, the drivers can play as loud as you wish. They play particularly magnificently with my Jeff Rowland Continuum S2 Integrated Amplifier. The boozy trombone solo in Tam O' Shanter on the same LP is suitably raucous, placed flawlessly in the orchestral fabric and plays as loud as you dare without any soundstage implosion. Imaging and soundstage was always superb with the X-1 and the T adds little to its original (the XT-1, like its predecessor, prefers a slight toe in when placing). The antiphonal brass of Sir Arthur Bliss' Fanfare for 3 Brass Choirs from a Philip Jones Brass Ensemble Argo reissue sounded suitably resplendent. The imaging of individual instruments amongst the massed brass spread over a very wide and deep soundstage was very impressive. Record after record, digital file or CD, instrumental or vocal repertoire, the Raidho's never let me down. Each track I played uncovered a musical line, mark of expression or plain old emotional experience hitherto unheard. Quite remarkable. 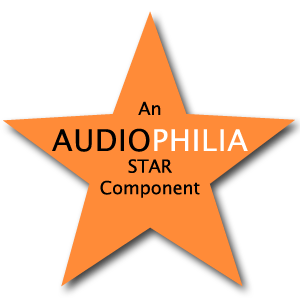 This time, no churlish attitude, and the XT-1 earns its Audiophilia Star Component Award.